Andy Rubin took a big risk. The father or Android, as he has been called, tried to out-Google Google in making a phone worthy of being the Android poster boy. But while it may have mostly succeeded in creating an identifiable product, it has arguably failed to sell it. Despite the early investments, Essential is a sinking ship and it will be taking the Essential phones with it. Which is a tragedy for the Android world because it is exactly what the market needs. There were two big pieces of news for all types of Essential users over the weekend. Power users were probably giddy with the availability of Android P developer preview for the PH-1. 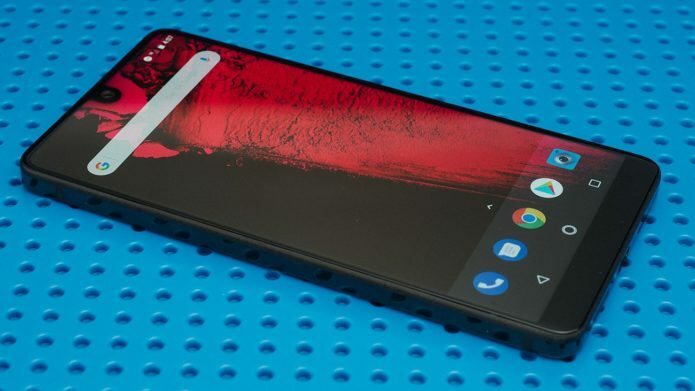 The Essential is one of the very few devices officially supporting it, the others being the Nokia 7, the newly launched OnePlus 6, and, of course, the Google Pixels, among others. And then came the confirmation that, despite the business turmoil the company is in, the Essential PH-1 will receive two years of Android updates and 3 three years of security patches. While it remains to be seen if Essential could maintain that commitment if it goes under, this, at least on paper, put it on the same level as a Google Pixel. To make it short, the Essential is pretty much the closet you can get right now to a Google phone without having to break your wallet to get a Google Pixel. Sans the camera capabilities (we’ll get to that later). A rather unique design (keeps notch to a minimum), vanilla and regularly updated software, and a price tag that made OnePlus worry last year. What’s not to love? It was, of course, popular among those who loved the intersection of such features. Namely those who have also sworn loyalty to Nexuses and Pixels. An updated Essential PH-2 would have made great sense, but not all sensible things turn into profits. This year, we might be left with nothing but the OnePlus 6 when it comes to the price point and whatever Nokia flagship HMD Global throws our way in terms of the pure Android experience. And, of course, there’s the very pricey Pixel with its great cameras. The big question is, of course, what went wrong? Essential practically had the same problems as HTC and LG in having a widely acclaimed phone that very few end up buying over Galaxies and iPhones. Unfortunately, Essential doesn’t have the resources of the other two to continue operations. The PH-1 was hardly perfect to begin with. In particular, it failed to capture the smartphone camera market at a time when that was the biggest differentiating factor among brands. In fact, some would say the phone’s camera started out terribly. Essential did work to fix that, but it was a bit too late to undo the bad first impressions. Hopefully, Essential’s fate won’t be taken by other OEMs as a sign that “pure Android” just doesn’t work. HMD Global will be the next to test that theory but it has a larger coffer than Essential. While there’s little hope that there will be an Essential PH-2, we can only hope that some OEM will at least pick up where it left off to deliver the same strengths of the short-lived Essential phone but without its limitations.